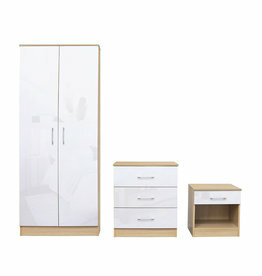 Discover our selection of bedroom sets, choose from gloss to wood. Find the perfect addition to your bedroom. Dakota bedroom set in bue. Laminated high gloss fronts with a matt oak effect frame. Dakota bedroom set in taupe grey. Dakota bedroom set in pink. 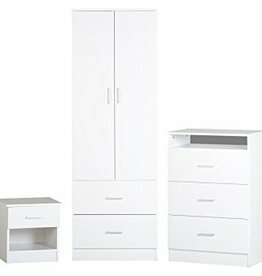 Dakota bedroom set in white. 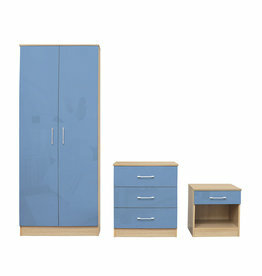 The set comprises 2 door wardrobe, 2+2 drawer chest & bedside. 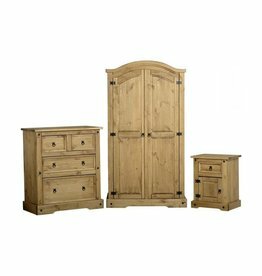 Wakeley bedroom set in pine. 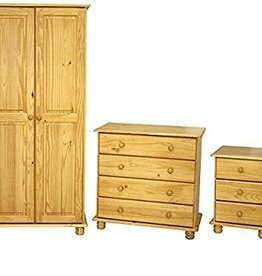 2 door wardrobe, 4 drawer chest & 3 drawer bedside. This bedroom set features a bedside cabinet, chest of drawers and a wardrobe.